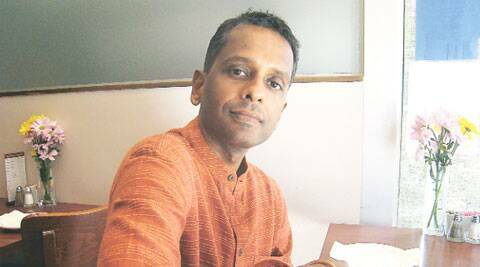 Sri Lankan writer Shyam Selvadurai on his new anthology of literature from the island country that seeks to bridge linguistic divides. From Martin Wickramasinghe’s Gamperaliya (1944), the first modern Sinhala novel, to the poetry of Puthuvai Ratnathurai, the official bard of the LTTE, who was among the thousands who disappeared after the end of the civil war in 2009, a new anthology on Sri Lankan literature, edited by writer Shyam Selvadurai, draws a long arc. In what period were the pieces in the anthology written? And what made you pick that timeframe? They are all post-independence. I picked this timeframe because nothing very interesting was written in the colonial period. There was the beginning of a flowering of a great tradition in Sinhala and Tamil writing in the 1920s and 1930s but it only came to full bloom post-independence. There is a very interesting amount of writing in pre-colonial times but I felt it was stretching things too much. I didn’t want the anthology to be a door-stopper. The only really hard thing was whittling down from a very long list to this short list. The manuscript I submitted to my editor at Penguin India was twice the length of the current book. Sri Lankan literature is in three languages, Sinhala, Tamil and English. How is the language you write in perceived in the country? Are the three strains of literature in conversation with each other? I write in English which is perceived as the language of privilege and mobility in Sri Lanka. There is a lot of finger pointing at the old English-speaking elite, but really, they are a dying breed now, overtaken by a new Sinhala-speaking elite. Yet, this new elite and their children also learn English and educate their children in English because it is the language of globalisation. The three strains are not much in conversation with each other. Could you talk about how you have grouped the pieces, which is not by language — but the trajectory of class conflict, displacement and the civil war? I wanted to avoid the categories of Sinhala, Tamil and English literature which is often the way work is grouped in Sri Lankan anthologies. Despite the linguistic divides, we have so much in common and have all lived through the build-up to the war, the war and now the post-war period. I wanted to find a different way of grouping the work to reflect a more national vision. 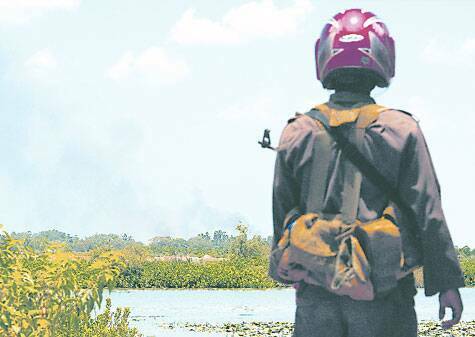 Selvadurai; a Sri Lankan government soldier looks across to a trail of smoke inside the town of Putumatalan in northern Sri Lanka, 2009. Indian writers in English are often criticised for being restricted to the upper middle-class life that they come from. Is there a similar criticism levelled at those who write in English in Sri Lanka? Yes. But I feel that writers working in English now also transcend their class boundaries and take on the challenges of the country, not just the ethnic issues, but also issues of misogyny, class etc. You write in the introduction of how the 1971 student protests, in a way, politicised writers in English. Could you talk about what changed? What changed was that they began to realise they had to engage with the country in a more meaningful way, rather than write work that was inspired by Western models and referenced classic Western literature. And also, most importantly, to examine their class privilege. How has the civil war influenced literature? In what form have writers responded to it? The civil war has produced a great flowering of literature. This is not surprising, as writing and writers do respond to a crisis. A crisis brings about an examination of oneself and one’s society, as a writer. Conflict, as terrible as it is, provides good story and poetry as we see, for example, in various poems in the last section of the anthology, such as Vivimarie Vanderpoorten’s Explosion about the Central Bank Bombing, or Yet Another Incident in July 1983 by Basil Fernando or Cheran’s Healing the Forest. Some of the stories also capture the war well such as The Whirlwind by Ayathurai Santhan. Has the response differed across the linguistic divides? And is there a way of reconciliation or closure that literature can offer? Since the Tamils were more affected by the war, their literature reflects this, more than Sinhalese writers. But Sinhalese writers do grapple with the war too, often from a place of guilt. As for closure or reconciliation, I don’t think there is ever closure to what happened. All we can do is incorporate it into the national psyche and move on. Literature has an important part to play in this incorporation, as it allows us to examine the way the war impacted those who were not major players in the war but simply swept along by it. It allows us to know the “other” intimately. I truly believe in this and that is why I began a project called Write to Reconcile (writetoreconcile.com) two years ago to try and create a body of literature about the war. We published the first anthology last year and will publish the second one in February 2015. A Tamil boy at the Menikfam Vanni refugee camp. Which have been the landmark works/voices that have come out about the war, since the war? There are many of them. It is difficult to name a few like that. Most of them are in the last section of the anthology. The poets Anne Ranasinghe, MA Nuhman, Cheran, Jayapalan, Buddhadasa Galappatty, Vivimarie Vanderpoorten. There is also diasporic writing: Nayomi Munaweera, VV Ganeshananthan, Michael Ondaatje’s Anil’s Ghost and his collection of poems Handwriting, Romesh Gunasekera’s short stories, to name a few. You left Sri Lanka for Canada after the July 1983 riots. Have other writers too chosen/forced to choose exile? How has that influenced their writing? In fact, almost all the major Tamil writers live in exile. I don’t know how it has influenced their writing. They would each need to speak of this for themselves. You write about moving from being an Enid Blyton reader as a child in Sri Lanka to reading Anita Desai in Canada, and realising that she spoke about your past as well. What have been the discoveries in editing this anthology? I already knew quite a bit before I began reading for the anthology but reading has really broadened my understanding further. I find reading for the anthology had produced a tangible result: Last year, when I did my Write to Reconcile project, I had to struggle to provide students with examples of Sri Lankan work they could look at that would inspire and help them along. This year, I am finding that I have all this at my fingertips. It is so thrilling to be able to direct a student who is writing about a soldier’s widow to the Kamala Wijeratne poem in the anthology called A Soldier’s Wife Weeps; or to direct a student writing about displacement to Isankya Kodithuwakku’s The House in Jaffna or Cheran’s poem Cousin.